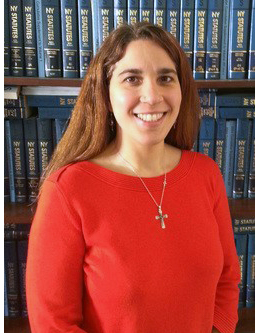 Attorney Rebecca Millouras–Lettre is skilled at resolving cases for clients in the areas of family and divorce law, bankruptcy and real estate. Rebecca has over 18 years of experience helping clients find the least painful solutions to their financial difficulties and family problems. She is trained in collaborative divorce, where parties work together with attorneys, financial planners and if needed, therapists, to reach an amicable divorce without litigation. Rebecca is always available at any time of the day to help guide clients through their legal difficulties. Rebecca is invested in giving back to the community and is consistently recognized for her care and dedication to clients throughout Hudson Valley.